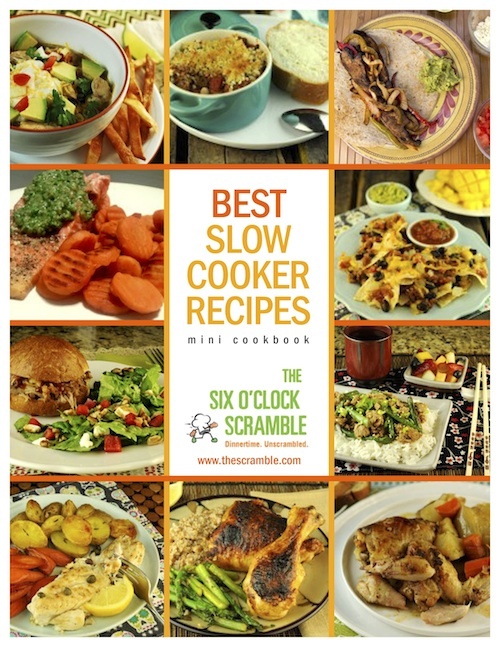 Through January 5, 2015, The Six O’Clock Scramble is offering a free download of their Best Slow Cooker Recipes Cookbook to my readers this week. This free ebook is full of easy and healthy recipes that can be made with or without a slow cooker, and that are both budget and family-friendly. Sign up here to download your free copy. Everyone who signs up will also be entered to win free subscription to The Six O’Clock Scramble Menu-Planning Service. One winner will receive a 3-month subscription ($29 value), one winner will receive a 6-month subscription ($49 value), and one winner will receive a 2-year subscription ($97 value). What Is The Six O’Clock Scramble? The Six O’Clock Scramble is an online menu-planning service designed to help busy moms and dads get healthy meals on the table quickly and simply, at an affordable price. For $4 to $10 per month (depending upon which subscription package you purchase), you’ll receive ready-made, healthy, seasonal, and completely customizable dinner plans for each week (including side dishes and a pre-made grocery list) — sent right to your inbox or phone. You can see a sample weekly menu here. I’ve gotten a chance to peek at the menus from the last few months and they look healthful and nutritious, but also like they’d be packed with flavor, too! 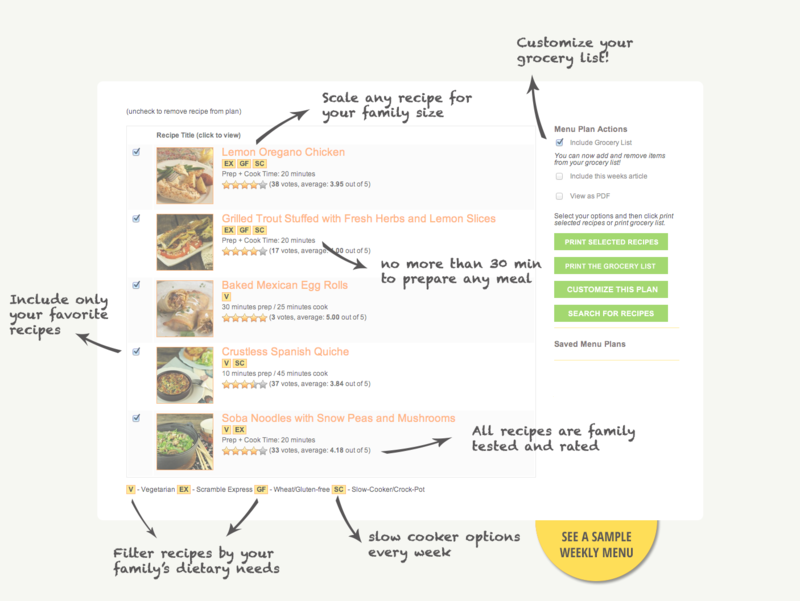 This menu-planning service would be especially great for a mom or dad who wants to feed their family more nutritiously this coming year, but doesn’t want to spend a lot of time finding recipes, planning a menu, and creating a grocery list. Complete nutritional information and Weight Watcher points with each recipe! Winners of the the Six O’Clock Scramble Meal Planning Service memberships will be announced on January 6, 2015 via direct email. Looking for more? Read more posts about Freebies & Giveaways. 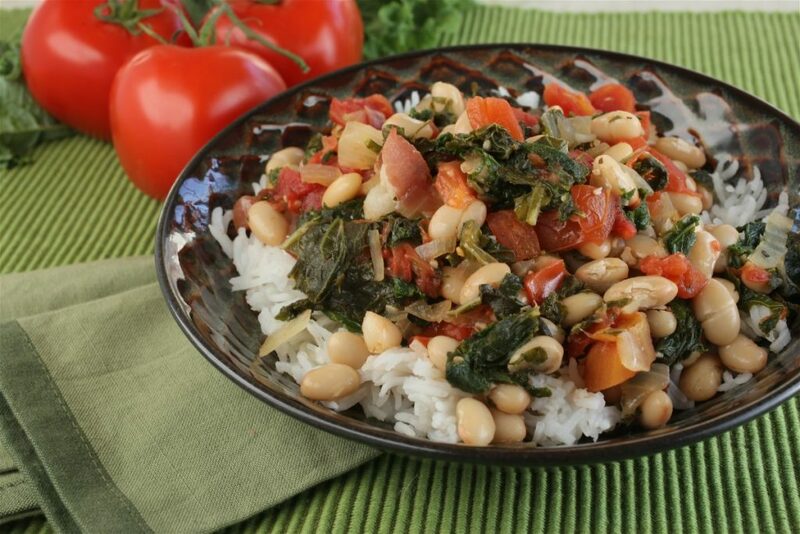 That black eye pea dish above looks delicious and right on time for the new year. Where is the recipe for the black eye pea dish? I didn’t see it in the ebook, but maybe I’m missing it. It looks healthy and very delicious! Thank you for the free ebook! Also, we have a 25% off meal planning memberships special offer only for Money Saving Mom community through this Friday with the code MSM2015 Everyone who signs up for a free trial here http://www.thescramble.com will get 3 free ebooks, 5 meals for under $50, 10 meals in 15 minutes or less, and tips to trim down while feeding your family. Thanks for all your support, Crystal and the MSM community!